The Dracula Chronicles is the brilliant and terrifying new concept of Dracula. It is an epic journey through the ages where the forces of Light and Darkness struggle for supremacy until the Second Great War, as foretold in the Book of Revelations. This bitter feud began after the creation of mankind. 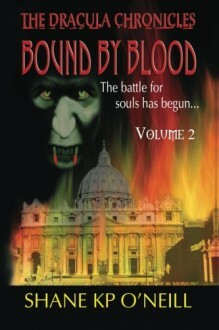 Lucifer’s jealousy leads to the First Great War of the angels. Hundreds of thousands of years on the feud simmers beneath the surface. It plots the course of history as we know it today. Both sides manipulate the major players through the centuries to seek an advantage over the other. On a cold night in December 1431 in Sighisoara an old gypsy woman delivers a prophecy to the great Vlad Dracul. She tells him he is about to sire two sons, one an angel and the other a devil. He returns to his fortress just as his wife bears him a son, whom he names Vlad. In the very same moment across the country on the border between Transylvania and Hungary a gypsy girl gives birth to another son, Andrei. The die is cast. The twin souls are born. The young Vlad Dracula becomes the instrument of the forces of Darkness. To balance this, the baby Andrei is blessed by the angels and bestowed with awesome powers.These chronicles are their story.